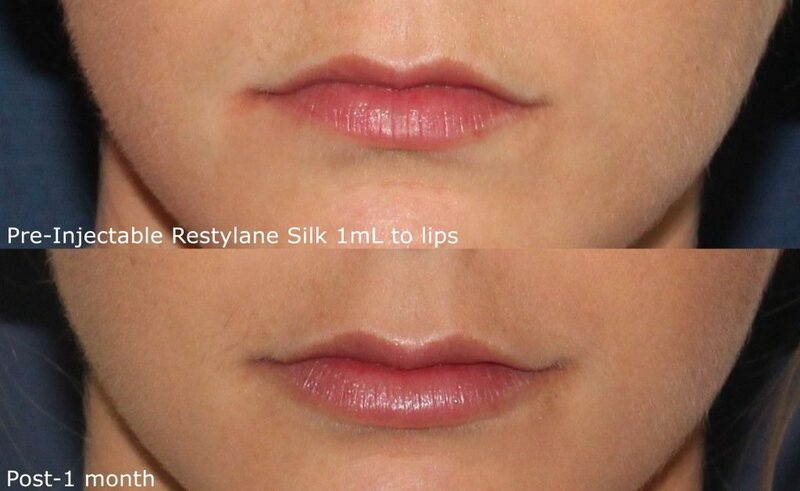 Restylane Silk is a dermal filler designed to add volume and smoothness to the lips and mouth. This injectable works with the body’s own hyaluronic acid, a substance that occurs naturally in the body, providing a natural-looking and younger appearance. Our cosmetic dermatologists actually perform all Restylane Silk treatments themselves – they don’t delegate injectable treatments to nurse practitioners and assistants like many doctors do, which means that you’re in good hands with a Restylane Silk treatment at Cosmetic Laser Dermatology! When injecting Restylane Silk, our team of expert dermatologists uses an extremely fine needle or a blunt tip cannula, which was recently approved by the FDA, to minimize pain and discomfort while providing fullness to the lips. Restylane Silk also has the added benefit of 0.3% lidocaine. This lidocaine works as a local anesthetic to reduce pain and discomfort even further. 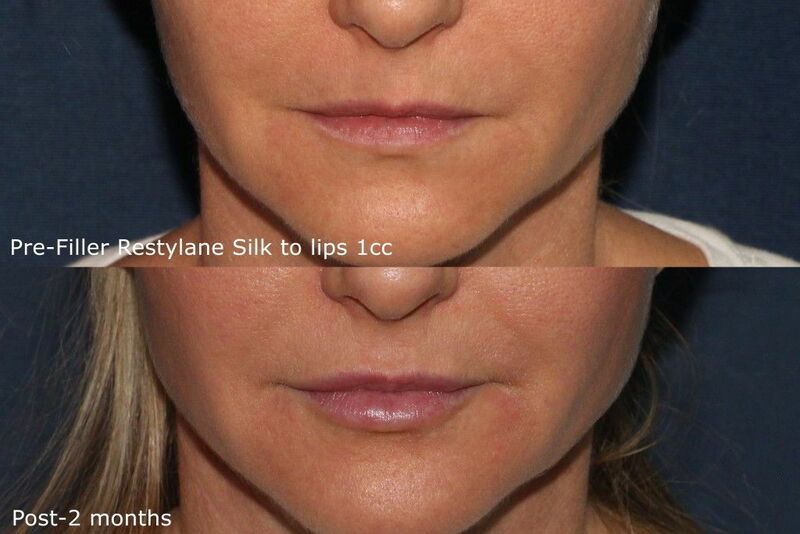 Restylane Silk is injected directly into whichever part of the face you wish to be treated. Once injected, it creates a smoother, younger look by filling in fine lines and wrinkles, or by plumping the lips. 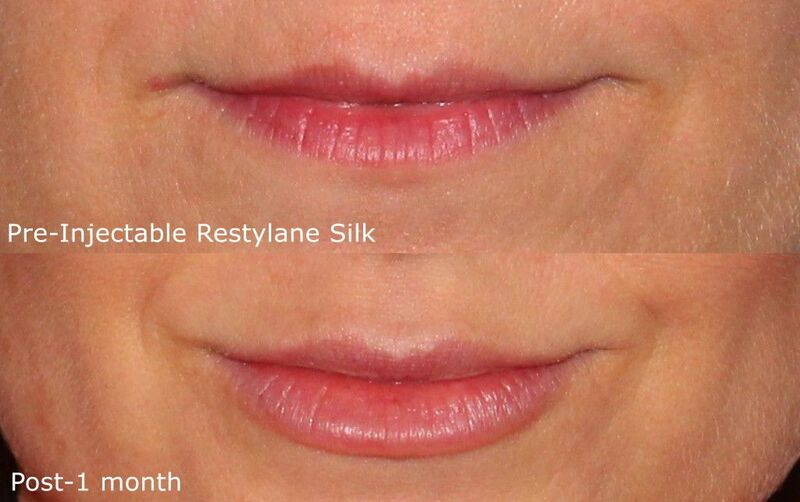 Restylane Silk works immediately by providing volume in the injected area. The main difference between Restylane and Restylane Silk is that the latter contains 0.3% lidocaine. The addition of lidocaine to the proven Restylane formula provides the benefit of reducing any discomfort or pain associated with the procedure. 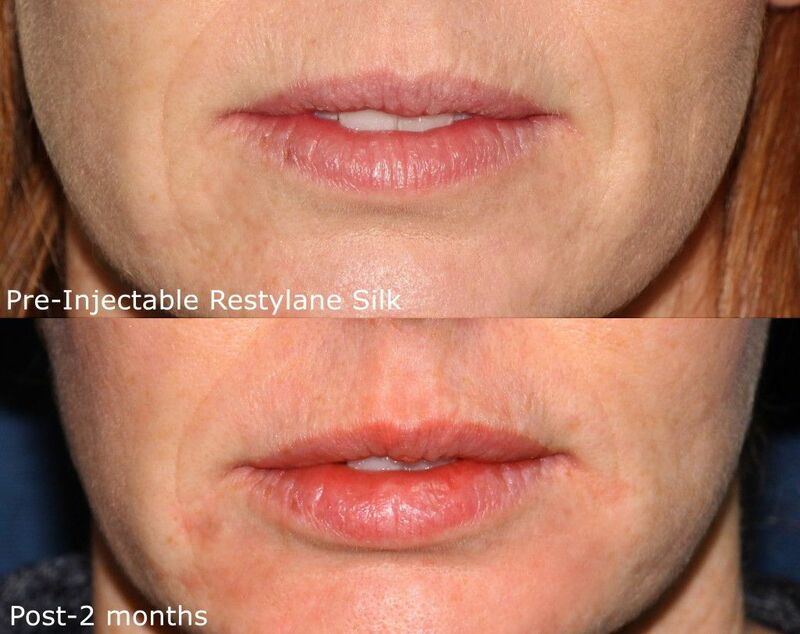 Restylane Silk is the most comfortable, pain-free dermal filler on the market. A: Restylane Silk works by using hyaluronic acid, a naturally-occurring substance in the human body responsible for smoothness and fullness of the face, to restore lost volume. Wrinkles and fine lines can be filled using Restylane Silk, and lips can be plumped as well. A: Restylane Silk is a very quick procedure. Depending on the treatment area, it can take anywhere from 5 to 30 minutes. This is the perfect procedure for someone who doesn’t have much time but wants a refreshed and rejuvenated youthful appearance. A: Results from a Restylane Silk procedure can be seen immediately following the treatment. It may take a few days to see full results. Q: How much downtime is required? A: There is minimal downtime associated with Restylane Silk. You may experience some swelling, numbness, or redness around the injection site, but this typically fades after just a few hours. A: Restylane Silk contains lidocaine, a local anesthetic. Due to this addition, pain and discomfort are minimal. Our team of expert dermatologists use an extremely fine needle and have years of expertise, so you can feel assured that any pain or discomfort will be absolutely minimal. A: Restylane Silk commonly lasts for six months to a year, depending on the type of treatment done. A: There are minimal side effects from using Restylane Silk. The most common side effects are some minor swelling or redness around the injection site, which usually disappears within a few hours. A: Each San Diego Restylane Silk treatment is customized for the individual patient. The price will be determined based on how much Restylane Silk is used and how many areas are being treated. Schedule a consultation with one of our expert San Diego dermatologists to customize a treatment plan. Q: Can it be used with other injectable treatments? A: Yes, it can! Using Restylane Silk together with Botox or Dysport can have even better results. The Botox works to prevent new wrinkles while the Restylane Silk fills in existing ones. At Cosmetic Laser Dermatology, we offer a wide-variety of advanced dermal fillers, including Volbella or Juvéderm, that can be used for gorgeous lip enhancement results. Contact us today to learn which injectable is right for you!